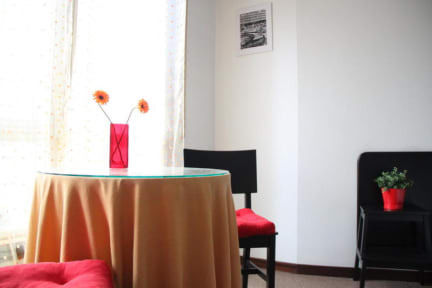 The property has 8 double rooms, with full private bathroom, LCD TVs, central heating, and free WIFI conexion. The property is just 2 minutes walking from the beaches of Riazor and Orzan, 10 minutes walking from María Pita City Hall Square, 10 minutes walking from the stadium of Deportivo La Coruna football team, and 5 minutes walking from the port and Mendez Nuñez Gardens. We are located just next to La Coruna Tapas Street too, where you will find any kind of typical Spanish and Galician food, including the famous Galician seafood and fishes.